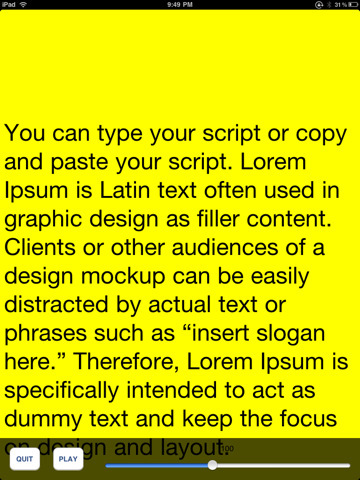 Prompster: who needs a flash card or notes for presentations when you can use this app to get the job done. It also has a digital audio recorder to help you practice before your big day. 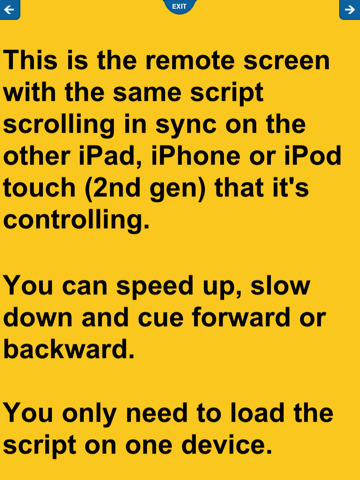 SpeechPrompter: just load your script and set the speed for your speech (you should know this by practicing beforehand). 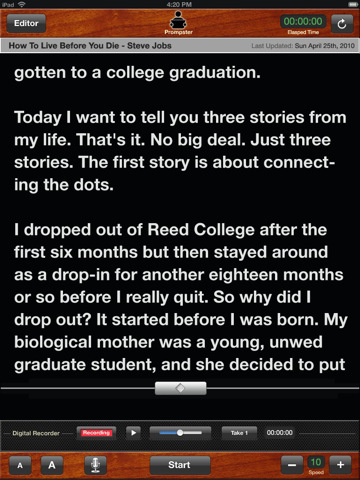 You can also use the countdown timer to stay on the right track with your speech. 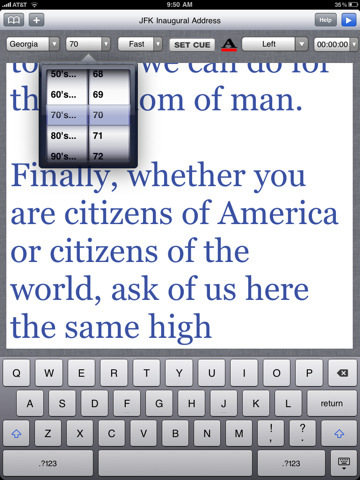 ProPrompter: a teleprompter app for iPhone, iPad, and iPod Touch. Supports multiple sizes, backgrounds, fonts, and so on. Works in both orientation modes. The loop function is great for practice. 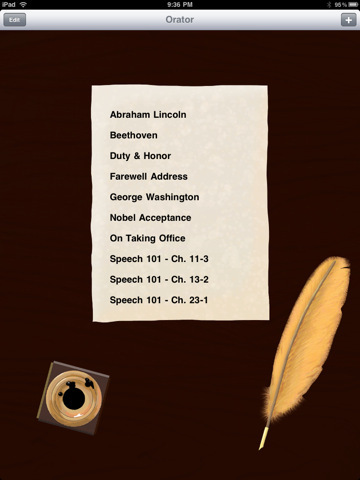 Orator for iPad: a more affordable option to some of the above applications. It has two modes. In edit mode, you can create new scripts or edit existing ones. The presentation mode is the one you use when setting yourself up for your presentation. On Air: this list would not be complete without a free teleprompter app for iPad. 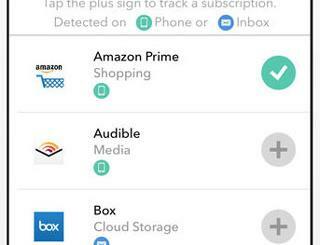 It may not have some of the advanced features you can find in the first two apps in this list, but its behavior is customizable. It does the job. If you do serious presentations on a frequent basis, the above teleprompter applications can be very helpful.